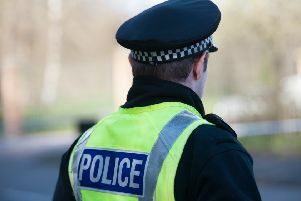 THREE men have appeared in court in connection with an alleged shooting incident near Wallyford. Martin McGroary, 20, Daniel McGroary, 25, and a 17-year-old, who cannot be named due to legal reasons, all appeared in private on petition from custody at Edinburgh Sheriff Court yesterday. Martin McGroary, from Dalkeith, is facing a total of ten charges including three charges under the Firearms Act 1968 as well as assault, culpable and reckless conduct and road traffic allegations. Daniel McGroary, from Dumbarton, is facing nine charges including three charges under the Firearms Act 1968 and culpable and reckless conduct and road traffic allegations. The 17-year-old youth, from Dalkeith, is also facing nine charges including including three charges under the Firearms Act 1968 and culpable and reckless conduct and road traffic allegations. The three accused all made no plea and were remanded in custody. The case was continued for further examination. It is expected all three accused will appear back in court for a second hearing within eight days. The trio’s court appearance follows an alleged incident at the A199 Strawberry Corner roundabout, near Wallyford at around 1.30pm on Monday. The emergency services raced to the scene after reports of gunfire. Following the alleged incident Police Scotland’s Superintendent Angus MacInnes appealed for anyone with dashcam footage recorded at the time to come forward. said: ““Local officers in East Lothian and the Scottish Borders are being supported by CID and specialist resources during the course of this investigation and if you believe you have any relevant information that can assist these inquiries then please come forward. Those with information can contact Lothians and Scottish Borders CID via 101 and quote incident number 1750 of the 26th November. Or call Crimestoppers on 0800 555 111.